Interquip Electronics is extending its highly popular All Ceramic (SMAC series) Crystal Resonator line with 2 newly developed product, the SMAC-3225H and SMCM-2016H. Both products are utilizing the epoxy seal encapsulation method and thick-flim technology in the metallization process within the ceramic base configuration. The consumer electronics market is growing over the years but in the trend of miniature product sizes. These applications are typically requiring crystal resonators in smaller packages but with a highly competitive pricing due to its volume. Our SMAC series has been very success in the consumer electronics applications including computer peripherals, bluetooth, action camera, consumer medical devices, etc. With the newly added product, we are expected to continue our success in the consumer electronics industry. The SMAC-3225H features a 3.2x2.5x0.8mm package size with wide frequency range (12MHz ~ 48MHz) with typical precision at ±20ppm, and ±10ppm in selected frequencies. The SMCM-2016H features a 2.0x1.6x0.7mm package size and available between 24MHz ~ 48MHz. The typical precision is at ±20ppm. For detail specifications about the 2 new crystal packages, please visit the product page unter the Crystal page. 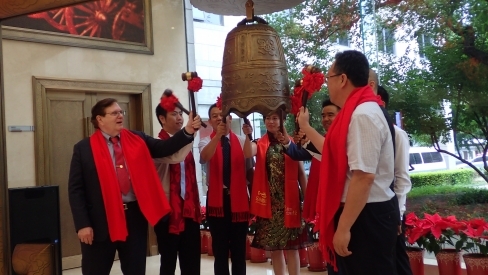 We are pleased to announce that the quotation of the shares of Interquip Electronics (Shenzhen) Co Ltd on the National Equities Exchanges & Quotations (NEEQ) is commenced on Jul 13, 2016 under the stock code of 837645. 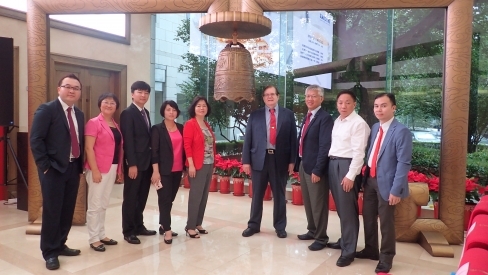 On the first day of the company being listed, the founder of the company – Dr William Beaver, President and General Manager – Ms Vivian Leung and the board of directors have attended the listed ceremony held at Beijing. Interquip Electronics (Shenzhen) will participate in the 87th China Electronic Fair held between Apr 8th ~ 10th at the Shenzhen Convention & Exhibition Center. You are cordially invited to visit us at booth at 9B323 in hall 9. 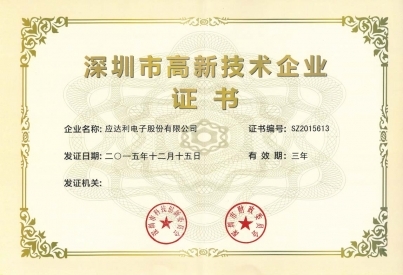 Interquip Electronics (Shenzhen) Co Ltd is awarded "Shenzhen High-Tech Industry" certificate again in Jan 2016.